Why and how you can lose the ability to burn fat. What “insulin resistance” means and how it affects your fat burning mode. As many of you know, back in 2004 I lost 220 pounds and I’ve been the same weight since. I’ve now dedicated my life to teaching the theory, art, and practice of permanent sustainable weight loss. What I want to talk about today is how to regain the ability to burn fat efficiently. There are certain metabolic scenarios that you may be experiencing right now that actually cause you to lose the ability to burn fat. I wanted to take the time to explain this phenomenon because it’s really important and throws the whole “calories in -calories out” argument down the drain. When you have lost the ability to burn fat then it doesn’t matter how many calories you are eating because you can’t burn fat efficiently. I’ve worked with many people who are eating next to nothing and their doctor’s and personal trainer’s continue to insist that they might be consuming way too many calories and that’s why they won’t drop the weight. But the truth is, they’re just not losing weight because they’ve lost the ability to burn fat. So why do we lose the ability to burn fat? Well it has a lot to do with the hormone insulin and your insulin levels. Insulin is the hormone that helps regulate blood sugar, it’s also the fat storage hormone. So what happens when you combine a modern western lifestyle where we’re eating processed foods, we’re stressed out and lead a sedentary life? We develop a condition where the cells in our body stop listening to insulin, also known as insulin resistance. 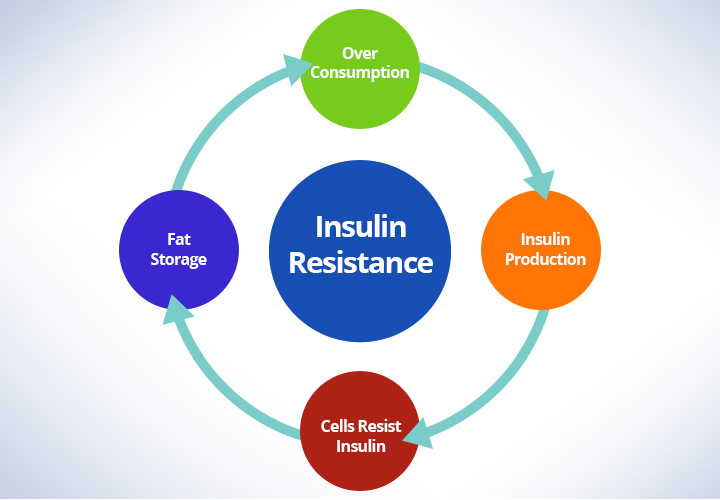 If you have Insulin resistance means the cells in your body are not listening to insulin efficiently which means that your body has to produce more insulin to lower your blood sugar. The problem with this is that insulin is also the fat making hormone and whenever you have an increase of insulin in your body your body stays in fat making mode and not fat burning mode. Basically, when you have insulin resistance, your insulin levels are always too high and so you stay in perpetual fat burning mode. The opposite hormone of insulin is a hormone called glucagon which is the fat burning hormone. If there’s insulin in your bloodstream your body will not produce glucagon which means your body will not be in the fat burning mode. From a survival point of view, this makes total sense as you wouldn’t want to be in the fat making mode while in the fat burning mode at the same time. Chronic low grade stress, chronic low grade inflammation, digestive problems, toxins and processed foods, all cause insulin resistance. They way to reverse insulin resistance is by addressing all of the above. Healthy fats such as omega-3s that come from cold water fish, chia seeds, flax seeds, and healthy saturated fats, such as avocados, coconut oil, organic butter or organic ghee are all healthy fats that help reduce inflammation make your cells more sensitive to insulin. While refined vegetable oils have the opposite effect. So making a switch from unhealthy fats to healthy fats is really important. You want to eat real live foods and less processed foods. All processed grains and sugars only elevate your insulin levels and they cause an exaggerated insulin response. Whole foods such as salads, vegetables, real animal proteins do not elevate your insulin levels. Salads, greens, sprouts and fermented foods, help detoxify, heal your digestion and reduce inflammation. You want to reduce chronic stress because the stress hormones will also cause your cells to stop listening to insulin which cause insulin resistance. Some ways you can reduce stress is by adding a meditation or visualization practice into your daily routine, light body movement such as yoga also helps, or even taking walks in the morning or evenings to help you unwind from a stressful day. It’s also important to treat inflammation in your body by healing your gut. You can heal your gut by introducing more fermented foods, probiotics, digestive enzymes, bone broths, sprouts to help heal your digestive system, reduce inflammation and reverse insulin resistance. Short and intense exercise such as sprinting, resistance training, or high intensity interval training (HIIT) helps drain your muscles of sugar and makes your muscles more sensitive to insulin. 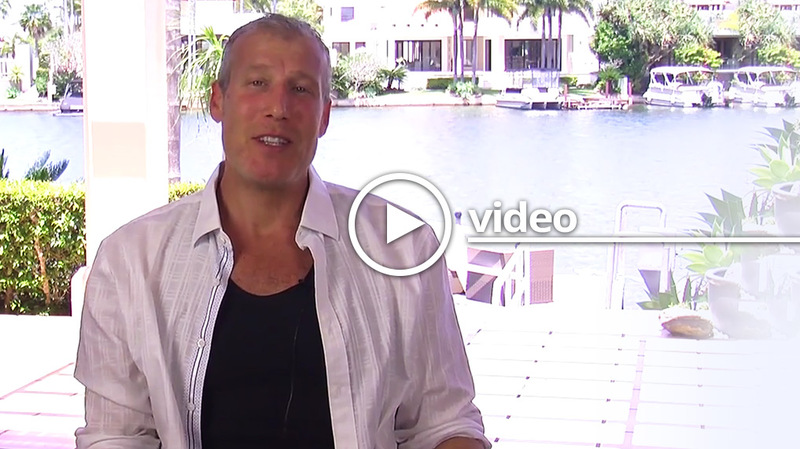 This mind-body approach can reverse insulin resistance at its root cause – at the cellular level. By making the cells more sensitive to insulin your insulin levels go down, which allows your body to produce the fat burning hormone, glucagon, to help you regain the ability to burn fat. Once your body becomes efficient at burning fat you can go long periods of time without being hungry because your body is living off of the fat storage and you begin to lose weight (and keep it off!) easily, naturally and sustainably. I’d love to hear how your thoughts… Please join the conversation by commenting below.